When putting together the idea to write an ECHL jersey ranking or review, I didn’t think it would go as well as I had planned. The first edition of the ECHL jersey review went much better than expected and had plenty of votes. I am happy to be doing this series and am glad that Team Sin Bin has allowed me to do it. When it came to jerseys the North Division wasn’t the best division set to start with. Only one good set of jerseys and a few “okay” ones made it an easy vote. However, I think the South Division has a much better set of jerseys and much more creativity when it comes to colors. For those who missed the first edition, you can read it here. Again, a huge thank you to Chris Smith at icethetics.co for allowing me to use his graphics for this series. Each team gets an overall score originality, creativity, color scheme and more. Florida automatically earns points for their name. Who doesn’t love a name like the Everblades? Their logo and jerseys are just as good as the name and perhaps the most important part of what makes their jersey so great. Florida’s logo is an angry alligator, an animal native to the Florida Everglades. The jersey’s colors and tooth-stripes embrace the colors of an alligator and well, their teeth. One of my favorite parts of Florida’s jerseys is how simple yet creative they are. The simple white jersey with “Everblades” is a great look. The green jersey replaces Everblades with the logo but it’s just as simple. The best part of the jersey, the teeth. The creativity and subtleness of the teeth earn points from me. The Orlando Solar Bears take the cake for best logo in hockey, by a mile. I mean, it’s a polar bear, in front of the sun, wearing sunglasses, a solar bear. Genius. The color scheme is the best part of the Solar Bears uniforms. You don’t see purple, teal and orange anywhere in hockey. The only thing that would make them better would be a black alternate, which they had a few years ago. Again, the purple jersey isn’t even the color of a normal practice jersey. Orlando earns many points for their color scheme. The jerseys, minus are just as good, I like a jersey with lots of stripes. The circular bear logo in the middle over top of the two thick stripes is a good look. I’ll go ahead and say it now, Orlando has one of the best jerseys in the ECHL. As I said, the South Division has some of the best names in hockey. The Stingrays is a great name and works great with South Carolina. I’m a big fan of the Stingrays’ jerseys, the double stripes and shoulder yoke on both jerseys are fantastic. The Stingrays logo doesn’t get as much love as it should. I saw them play last year and really liked their jerseys and color scheme. Red, white and blue on any jersey is great but for some reason, it seems like it is even better on the South Carolina jerseys. The double stripes on the blue jerseys are a really good look. The consistency of the double, red and white stripes from the arms to the collar of the jersey earns points from me. I’m glad that the shoulder yoke on the blue jersey isn’t a different color like it is on the white jersey, although I really like the blue shoulder yoke on the white jersey. The Stingrays actually paired with Icethetics.co and it’s readers to design their 25th-anniversary alternate jersey. It is a very well designed red jersey. I really like the Stingrays jerseys, my only fix would be to make the shoulder yoke a little smaller so it doesn’t go halfway down the arm. The Swamp Rabbits ladies and gentlemen. Again, another awesome hockey name in the South Division. The Swamp Rabbits could have had some great jerseys to tie in with their name and in my opinion, the white jersey is very good looking. I think the blue shoulders and orange accents is a great look and a massive change from the Road Warriors jerseys that were terrible. This season, Greenville decided to go with a Fort Wayne Komets themed dark jersey. The creativity of their dark jersey is terrible in my opinion. I am a big fan of the Swamp Rabbits’ alternate jersey that pays tribute to their NHL affiliate, the New York Rangers. I really like the Swamp Rabbits name and logo but their jerseys could be much better. The white jersey gains some points from me but the dark jersey lacks creativity. Personally, I am a fan of the black jersey. Like I said in the North Division piece, a black jersey automatically earns points from me. Black and red together is always a good look but the Cyclones look very nice. The white jersey with the red and black accents and radioactive-looking stripes looks great too. I think what draws me in is how different the Cyclones jerseys are from other teams. You won’t find a team like them anywhere. Their gray alternate jersey is just “ehh,” it isn’t terrible yet I have played against several teams with gray jerseys and it drives me crazy so because of that they lose some points. Personally, I am not a huge fan of the Gladiators uniforms. I have only seen them in person once and even though they aren’t horrible, I’m just not a fan. At first glance, Atlanta’s uniforms kind of remind me of the 90’s Phoenix Coyotes jerseys, the color scheme is almost spot on, minus the green. Speaking of colors, Atlanta’s color scheme is great, really screams gladiator and roman culture. The jerseys are okay, I like the black jersey and it works well with the red and gold but I’m not a huge fan of the diamonds inside of the gold stripes. I’m just not really sure what the significance of the diamonds is. The color scheme is good and the design of the jersey is just as good but for some reason, Atlanta’s jersey just doesn’t do it for me. 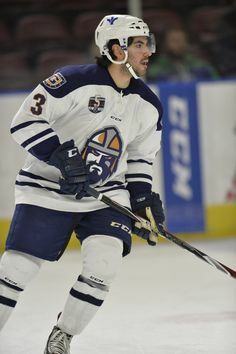 The biggest thing about the Admirals jersey is as many times as they have changed affiliates and now leagues, the Admirals really haven’t changed their jersey. Frankly, I’m glad they haven’t, it’s a good look. I am a big fan of the Admirals’ color scheme. The red, yellow and blue works and even though there isn’t any blue in the logo, it works on the jersey. Imagine a black jersey instead of a blue one, it wouldn’t look great. The color scheme is unique to Norfolk and for that reason, that is why they stick out. The Admirals jerseys are simple but because they haven’t really changed, that’s why it works. The logo of their NHL affiliate, the Edmonton Oilers, sits on one shoulder while an anchor sits on the other one. I would have liked to see the logo of the Bakersfield Condors on their other shoulder but it still works. The Norfolk jerseys aren’t the most creative but they are simple and have that original look to them. Sin Bin readers, we want to hear from you!